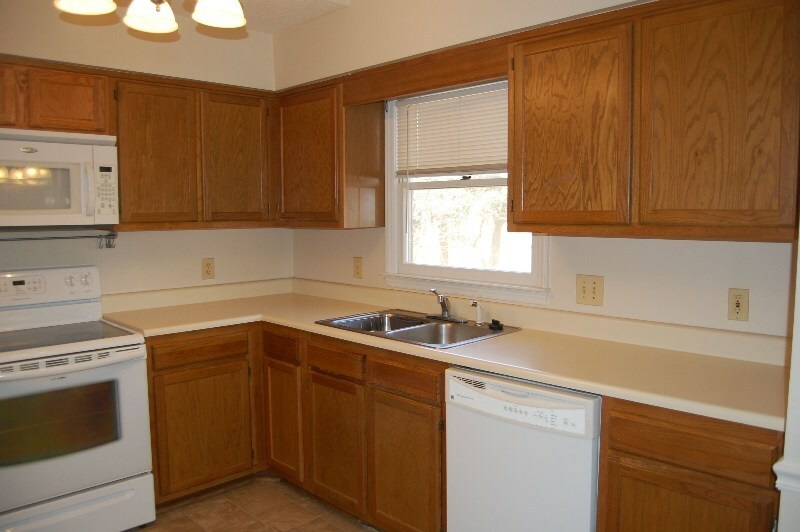 Ranch w/ 3BR & 2BA on Cul-de-sac lot, concrete drive & concrete walkway! 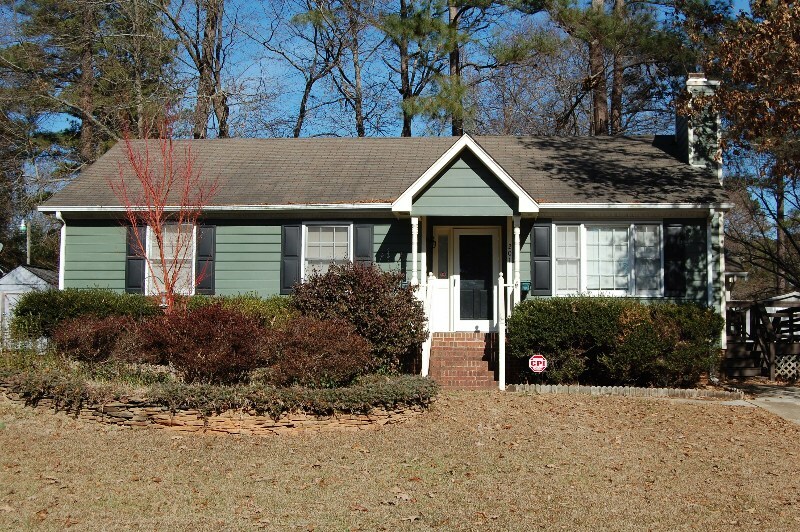 Covered front porch w/brick steps & storm door! 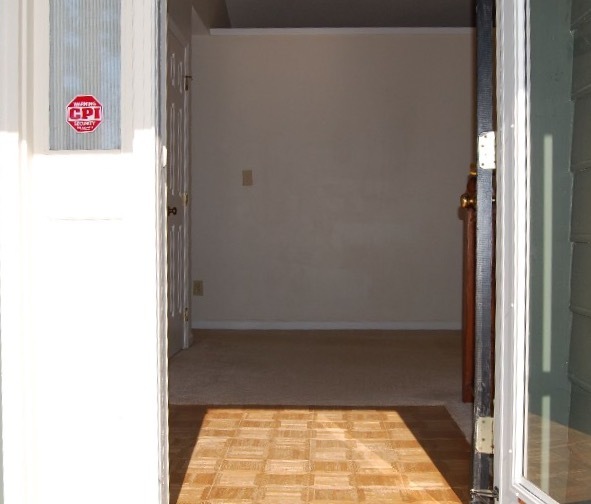 Parquet entry foyer into living room w/carpet! 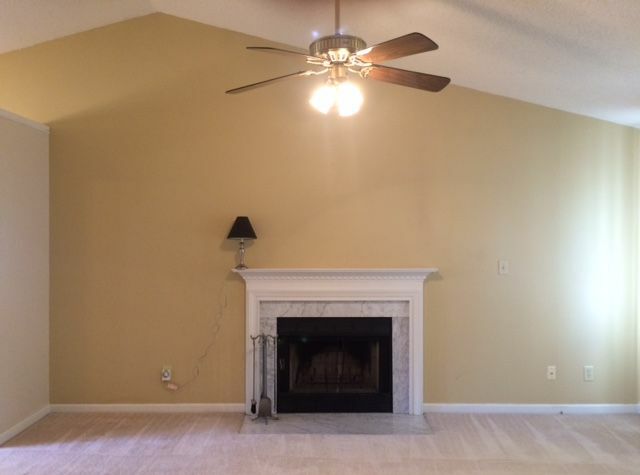 Living room w/carpet, Cathedral ceiling, neutral paint, white base boards & trim, coat closet, 2 double windows & center transom, 5 blade ceiling fan w/light, wood burning fireplace w/marble hearth & marble surround w/custom white wood mantle! Front on view of LR showing open wall to DR & Kitchen! 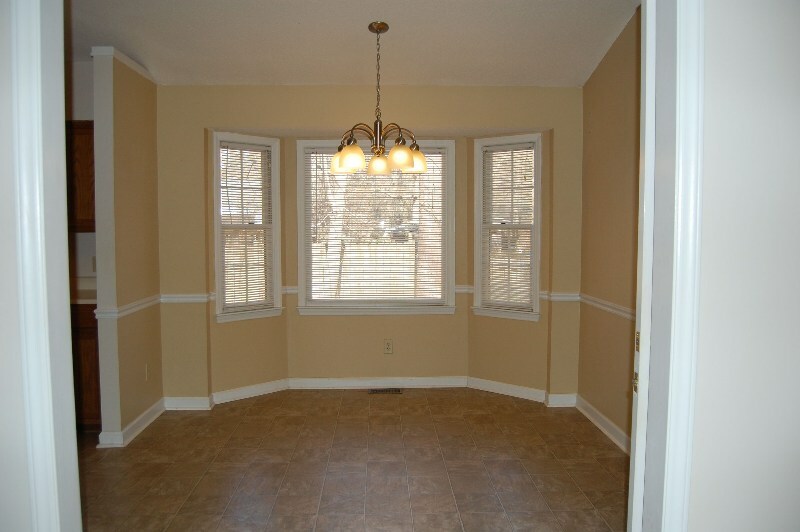 Dining Room w/Cathedral ceiling, oversized entry way, vinyl floor covering, bay window, mini blinds, 5 light chandelier, white chair rail, white baseboards, opens up into kitchen & has door to deck!! View through deck door through Dining Room through Kitchen where you can really see the kitchen ceiling! 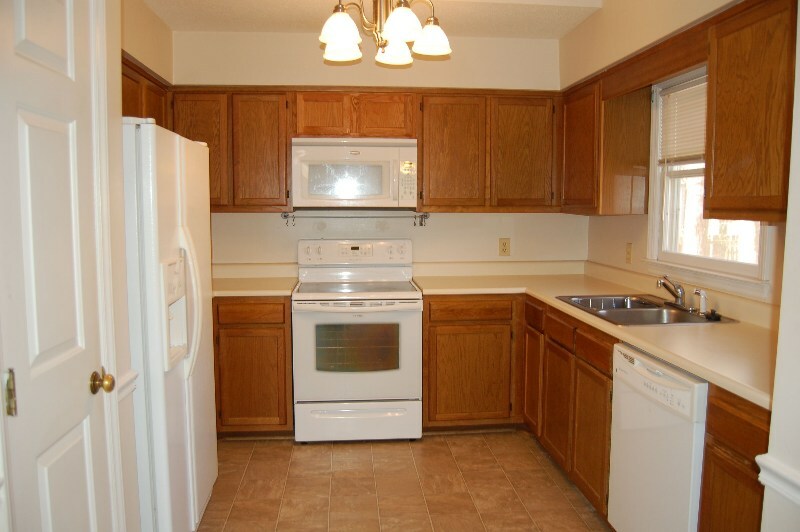 Kitchen w/double sided stainless steel sink w/garbage disposal, white dishwasher & 5 light chandelier w/ lots of cabinet space! 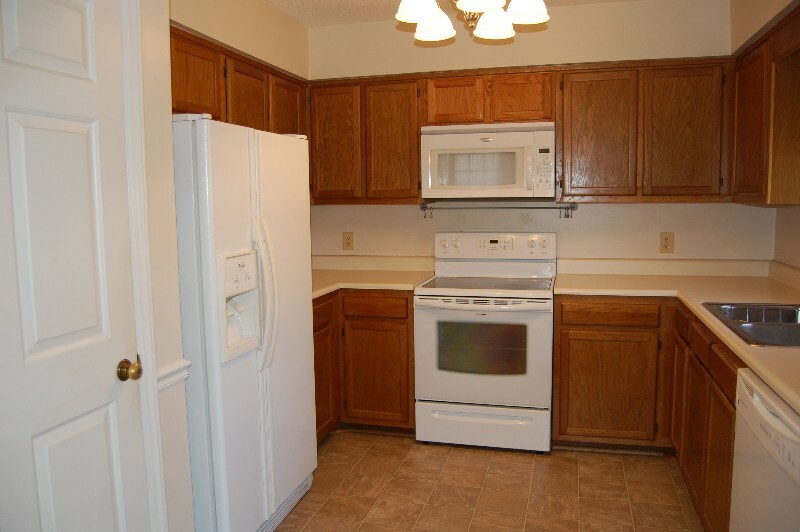 Kitchen w/vaulted ceiling, open from dinning room, vinyl floor covering, pantry, smooth laminate counter tops, white refrigerator w/ice & water on door, white smooth top stove & white built-in- microwave! View of Kitchen sowing vault side wall that is open at the top! Guest bath w/vinyl floor covering cultured marble vanity, one piece shower/tub surround w/two spigots (1 hand held) & extended shower curtain bar! Main bedroom w/carpet, 4 blade ceiling fan w/ light & double window w/ 2” faux Plantation blinds! Large Walk-in-closet (WIC) w/added shelving and nooks! 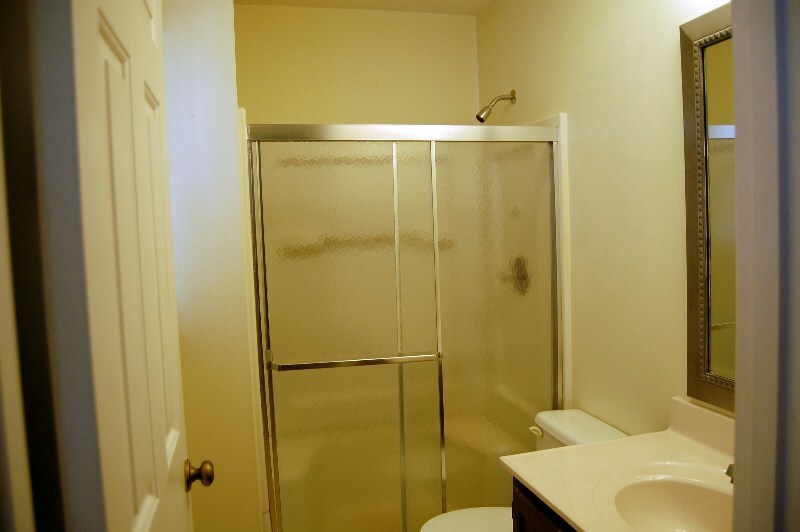 Main Bath w/vinyl floor covering, cultured marble vanity, walk-in stand up shower w/double doors & bench! 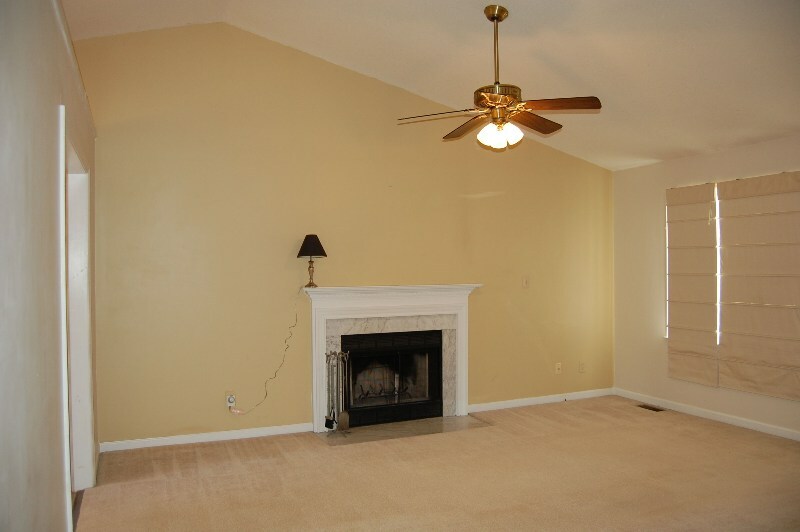 Bedroom 2 w/ carpet, ceiling light, closet w/double louver doors & double window! Hall linen closet w/shelving! Bedroom 3 w/carpet, ceiling light, closet w/double louver doors & double window! 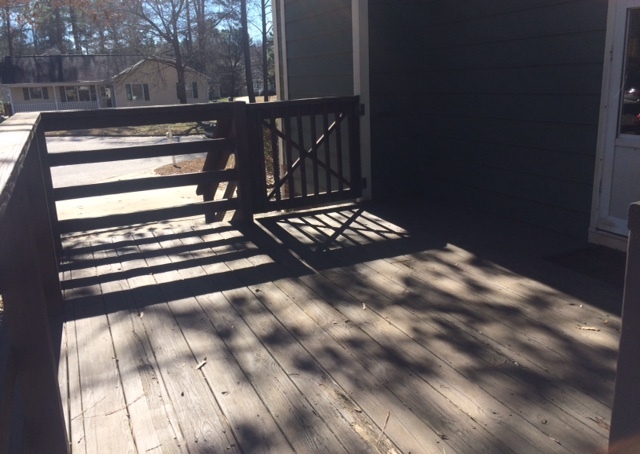 Deck (12.4x10.4) w/double access & door to the home!
. 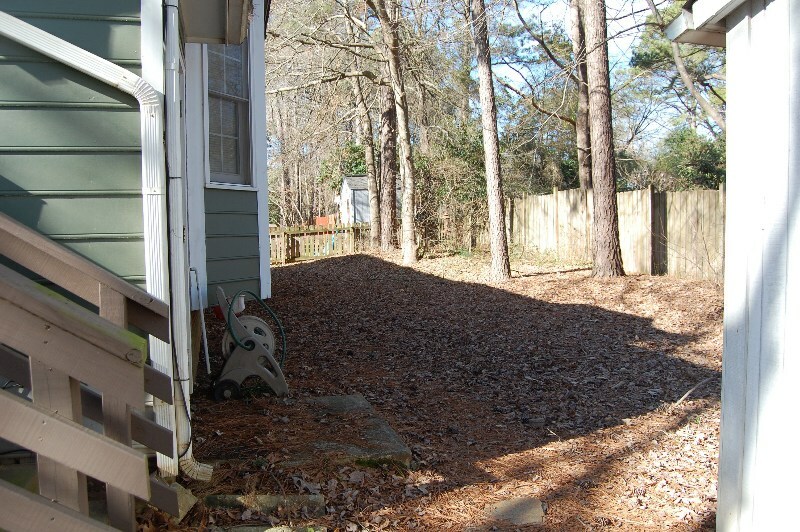 Fenced back yard with gates on either side of house & deck! 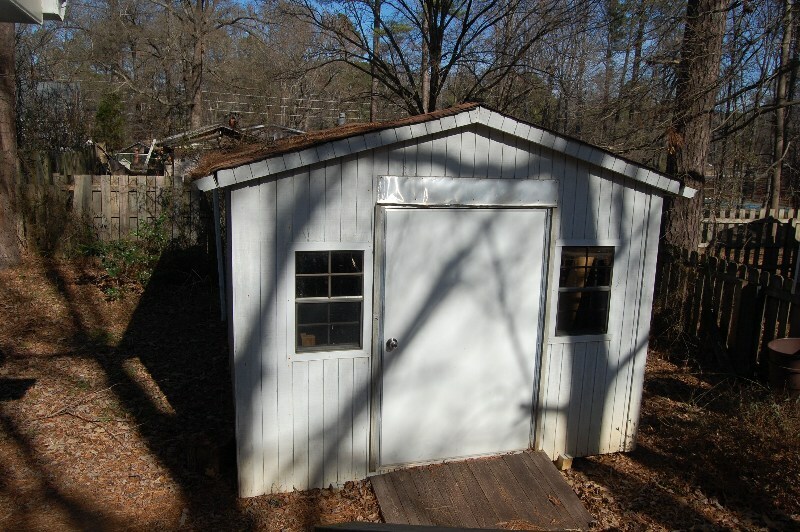 Shed (14.2x10.3) w/electricity, 3 double windows & oversized entry door!